Why choose chi-town Best windows for your exterior home improvement? Our windows are truly the best Chicago land has to offer, strong energy efficient, durable vinyl window. Galvanized steel reinforced sashes and frames all welded mainframes and sashes, night latches for limited opening, heavy duty locks, 7/8 thick insulate glass with warm edge technology just to name a few great features these windows offer. the window come in 30 different color combinations. we don’t carry stock windows all windows are measured and custom made to fit your openings. Low E: A heat-reflective coating that can add to the energy efficiency of a window. Argon Gas: Argon is about 25% denser than air. Argon’s higher density adds more insulation than air. Vinyl siding has long replaced the old metal siding. Vinyl siding is #1 in siding material, durable and maintenance free. whether you are remodeling, restoring or doing new construction you can create the look you the homeowner desires. with finishes in a range of colors, vinyl siding showcases the natural appeal of wood with out the costly maintenance . making the right decision on the design of the siding which includes traditional , triple 3 and dutch lap . vinyl siding also features a positive locking system in which each panel snaps into place for an easier install and a more secure fit. we at chi-town take pride in our most precise straight line siding jobs anywhere. chi-town also provides maintenance free soffits / fascia and gutters. 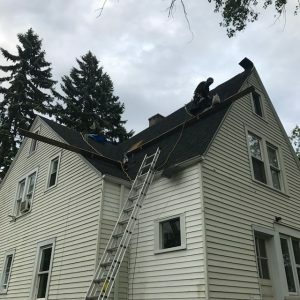 complete roof replacement , complete tear off the the bare wood , we install high quality material in our roofing jobs. from our felt paper to our ice and water shield to our shingles, may they be a traditional 3 tab or our top of the line architecual shingles, the choice is yours. If there is any rotted wood it will be replace to insure you of a quality job to last the home owner for years to come. 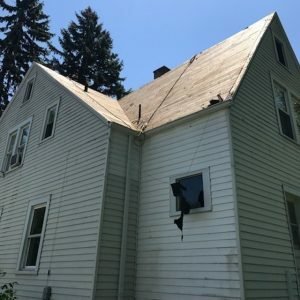 may your roof needs to be replace because of age or due to wind and storm damage we at chi-town with help the home owner with his every need. For quality work let chi-town Best window beautify and secure your homes exterior from the Roof , windows , siding , soffits , fascia and gutters. make us your Only call when it comes to beautify and insulation your homes exterior.